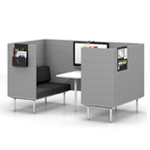 While there are many benefits to the shift toward working in open-plan offices, the challenge is maintaining space to make a phone call or work quietly and independently. 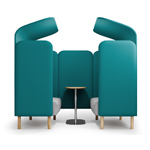 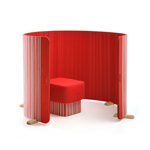 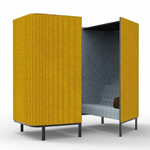 Designer Alain Gilles’ solution is the BuzziBooth: a phonebooth made of sound absorbing felt that dampens outside sounds. 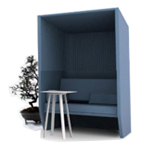 Now you can have a moment alone even in the noisiest of surroundings. 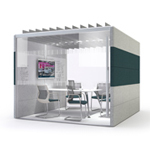 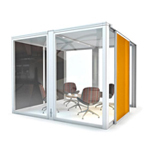 Micro-architecture for maxi spaces!